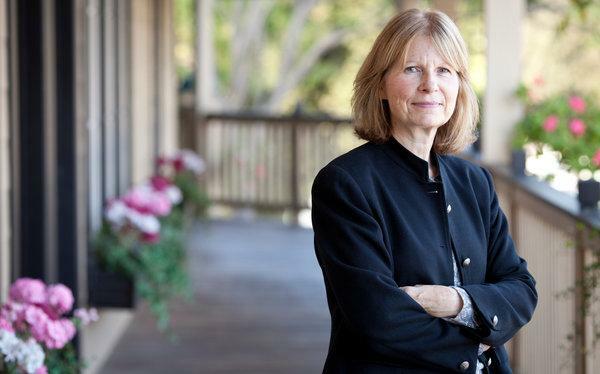 Today's Entrepreneur is Debra Reisenthel, she is the founding CEO of Palo Alto Health Sciences. Palo Alto Health Sciences is a digital therapeutics company founded in 2013. Their flagship product, Freespira, is an FDA cleared, evidenced-based treatment indicated for patients diagnosed with panic attacks, panic disorder and PTSD. Reisenthel also serves as Senior Advisor and Consultant at DTxCC (Digital Therapeutics Commercialization Consultants). Before becoming CEO at PAHS Reisenthel was the Vice President of Development at the United way and before that served as the President, CEO and the Board Member of Novasys Medical. 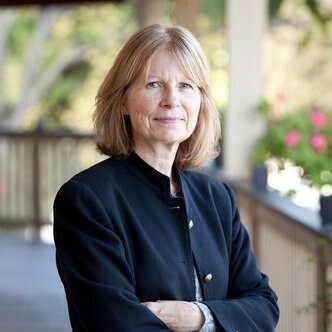 Reisenthel holds an MBA, a BA in Applied Behavioral Sciences, credentials as a Registered Respiratory Therapist (RRT), and certificates from Stanford Graduate School of Business and Stanford School of Engineering Management Programs. Read more about Debra Reisenthel here. Palo Alto Health Sciences is going to present at Invent Health - Future of Behavioral and Mental Health on April 4th in UCSF Mission Bay. Register here. Why did you choose to be an entrepreneur? I want to build companies that improve or save lives. I started my career in medicine and later transitioned to leadership roles in the medical device and digital therapeutics industries. I have a passion for leading and motivating a team of smart, highly-engaged people working toward a common goal! What is your favorite startup? Omada Health. 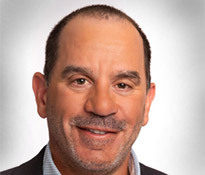 Not an early stage start-up anymore, but the company and the CEO have been great role models for companies like Palo Alto Health Sciences as they have transitioned from early stage to mature organizations. I am on the Board of a start-up called Raydiant Oximetry - a company developing a sensor placed on the maternal abdomen during labor and delivery to measure a baby’s oxygen level. This is a potential game-changer for assessing a baby’s well-being during birth. Why did you start your current company? To improve the lives of people suffering from panic disorder, panic attacks, and PTSD. The results from the early clinical trials were extremely compelling and people’s lives were transformed when they no longer had panic attacks. The highs and lows are significant, whether related to technology /product development, clinical trials, fundraising, FDA, reimbursement, adoption, etc. The CEO has to be patient and driven at the same time and serve as the optimistic face to the company, customers and the Board. Underestimating the time and money required to meet company milestones, and then running out of cash. It is critical to outline the Milestones and cash required to get to the next key valuation point. Get Board to buy and keep them updated. 1) Hire a Management team who are experts in their field (marketing, sales, regulatory, R&D, clinical affairs), who know more than you do, and then give them the freedom and support to do their job. Recognize that the CEO doesn’t have all the answers. Don’t micromanage. Give the Mgmt. team visibility with the Board and always give credit to those who are doing the great work to move the company forward. 2) Be thoughtful about the company culture you want to create and put these “Mission and Values” in writing and in-place on Day 1. Use the Values as a filter when hiring employees and when doing performance reviews or letting people go. It is especially important as the company grows to maintain the culture you want to build. 3) Be thoughtful and intentional in the amount of money you raise. In my early CEO experience, I raised $60+M in venture capital while building the company. However, providing an acceptable shareholder return is difficult with that high valuation. More recently, I have raised Angel and Venture capital and focused on cash efficiency, raising just enough to get the company from one key milestone to the next, which allows the company more flexibility in exit options. Palo Alto Health Sciences is a privately held Kirkland WA-based digital therapeutics company founded in 2013. Our flagship product, Freespira, is an FDA cleared, evidenced-based treatment indicated for patients diagnosed with panic attacks, panic disorder and PTSD. Freespira corrects the abnormal respiratory patterns associated with these conditions by training the patient to normalize their breathing rate and exhaled CO2 levels. Freespira is medication-free, takes only one month to complete, and is used at home. Results are long lasting, and treatment is authorized by a licensed healthcare provider and can be delivered by a behavioral health clinician or a Freespira coach. Chief Commercial Officer, Palo Alto Health Sciences, Inc.